At University Pet Resort we strive to pamper your pet and give them the best boarding experience possible. 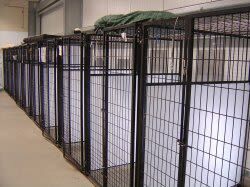 We are proud to offer a state of the art facility featuring heated flooring, spacious accommodations and the comfort your pet deserves. During your pet's stay at University Pet Resort, they will receive top-notch care including plenty of exercise and TLC. 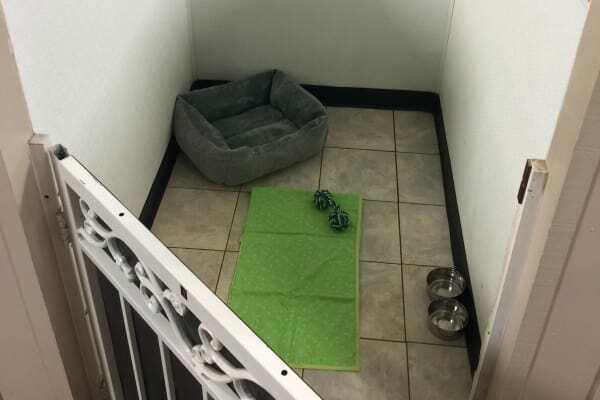 Bedding, toys and walks are all included with boarding accommodations for dogs. Toys or bedding from home are welcome and must be labeled. 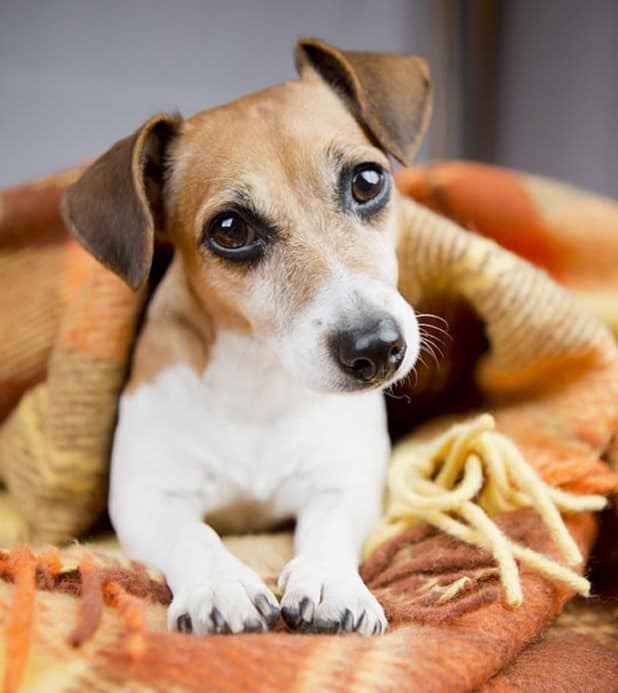 Prescriptions may be given during your pet's stay and must be labeled in the original bottle. There is a per night charge for this service. 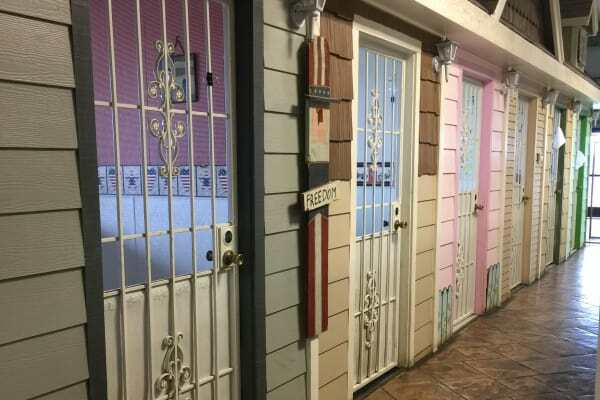 At University Pet Resort we offer several types of accommodations: Themed Villas, Garden Apartments, Family Suites, Indoor-Only Runs and Indoor/Outdoor Courtyard Runs. No matter what type of accommodation selected, our staff at University Pet Resort will provide your pet with a "home away from home". The Villas are comfortable accommodations (6 ft x 6 ft), complete with a private entrance, window, and bedding . Perfect for elderly pets or doggies that simply love to be pampered. The Garden Apartments are open, airy suites located in the center of University Pet Resort. These 4 ft x 5 ft rooms are comfortably equipped with bedding, low private gates for socialization, and personalized pet care. The Courtyard is the perfect accommodation for social pets as they are able to see other pet guests. 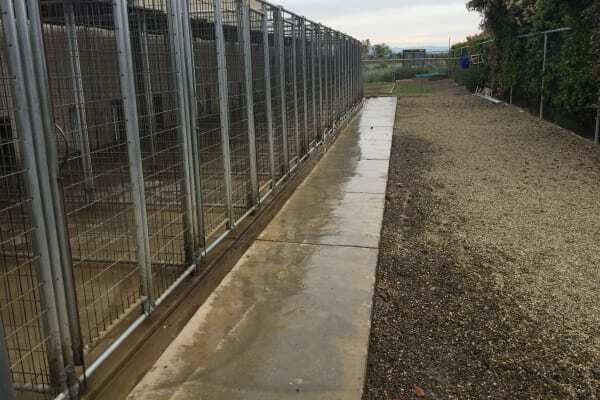 It consists of Indoor/Outdoor runs, enabling dogs to go in and out as they please during the day. At night they sleep inside on a comfortable blanket. Bark Avenue includes Indoor-Only and Indoor/Outdoor runs. The indoor-only runs are 4 ft x 5 ft. The indoor-outdoor runs are 4 ft x 5 ft inside and 10 ft x 4 ft outside. All are completely covered and feature solid panels between dogs. This is the ideal spot for less social dogs. These spacious accommodations allow plenty of sunshine and exercise and are complete with a comfortable blanket for bedtime!